Digital transformation is an essential element of keeping pace with rapid growth across industries. Organizations wanting to embrace digital transformation need a platform that allows them to see where improvements can be made to foster efficiency and innovation. 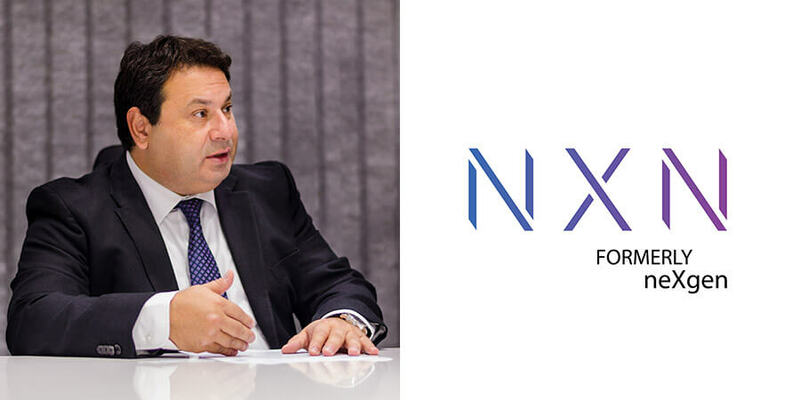 NXN's new DNX platform is an enabler of digital transformation across industries, explains Labib Matta, NXN's chief business officer. Digitalization is an all encompassing transformation process of a business or government or an entire city that covers multiple facets. It's not just about technology or digital, explains Mr. Matta, but more about changing business models and services to become more efficient and reliable. There's a difference between 'digital transformation' and 'digitalization'. Digitization is the conversion of analog or traditional data into digital data and putting it into a platform for specific services. Digitalization is the process of using digitization to change the processes of an organization to foster transformation. This process is known as DX which is where the term DNX came from for NXN's new platform. "It's about changing the culture of an organization to be more agile and efficient," said Matta. "In order to achieve that, you need to tackle issues within the organization piece by piece so that you're able to manage it. To address that, we came up with our platform DNX – an enabler for digital transformation across industries. It's a platform that enables the development and roll out of digital services across multiple verticals in a structured and cohesive way." The heart of this enablement is data. This digitalization movement is made possible today thanks to advanced data analytics, artificial intelligence (AI), and the Internet of Things (IoT) which makes it possible for multiple devices to communicate. "We are now able to collect much more data about interactions happening with customers or citizens of a city or the partners of an organization," said Matta. "We can then automate the resolution to challenges occurring between these interactions and provide useful predictions based on the data." The problem with solving these issues individually is that each system has its own verticals, he explained. The ability to optimize an operation will happen specifically for that system. "What we're talking about is bringing the data from all these systems onto a common platform that allows us to analyze the data in a much more efficient way and move into a predictive model that allows us to improve services and operating models to generate higher profitability and sustainability," said Matta. DNX integrates data systems, sensors, and IoT devices into a single common area which NXN then applies AI to in order to generate predictive models and improve efficiency of services. NXN correlates the data coming from different sources and aligns the findings of that data with the organization's strategic vision. "In order to deploy a DNX platform, we need it to align with the business objectives of the organization, and we need to consider how these objectives are going to be achieved by figuring out how the platform will fix problems that emerge from the analysis and help the organization to achieve better scalability and innovation," Matta added. The concept of digitalization is extensive and can be intimidating for customers. Some of them may not have the core capabilities to implement transformation initiatives. Also extensive is the process of breaking down an organization's problems and identifying where changes need to be made. The value of DNX is that it's an integrated platform that allows for short time-to-market by integrating with the existing systems and analyzing the data coming from those systems. "We help our customers avoid key technology decisions that need to be made and we save them from having to buy separate platforms that address only specific areas of the organization," said Matta. "We will implement our platform in a non-disruptive way, and then we will collect data and analyze it to generate efficiencies and optimizations that are required to improve operations." It's an integrated platform that scopes out inefficiencies in an organization's operations and relieves them from having to make critical technology decisions. Add to that NXN's ability to offer the platform as a managed service because many customers don't just want to buy a platform but also want someone to run it. The ability to integrate data from various sources allows NXN to see where an organization can improve. The platform is applicable to various industries. It's currently being undertaken by the healthcare sector where, for example, NXN is integrating various data sources of electronic medical records for better patient tracking. The real estate sector has also embraced the platform because it contributes to the smart cities movement by helping to integrate various city systems. The platform also applies to telecom companies in terms of monetizing data.